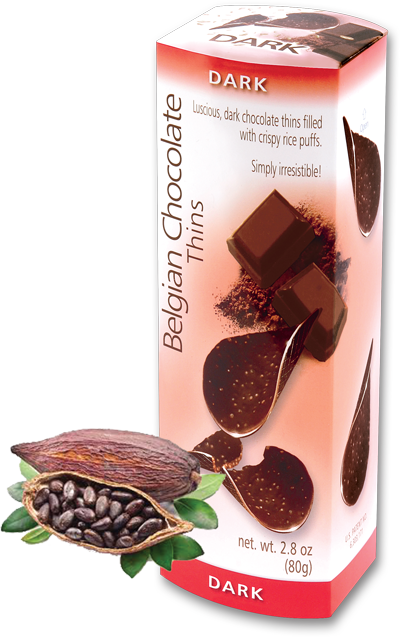 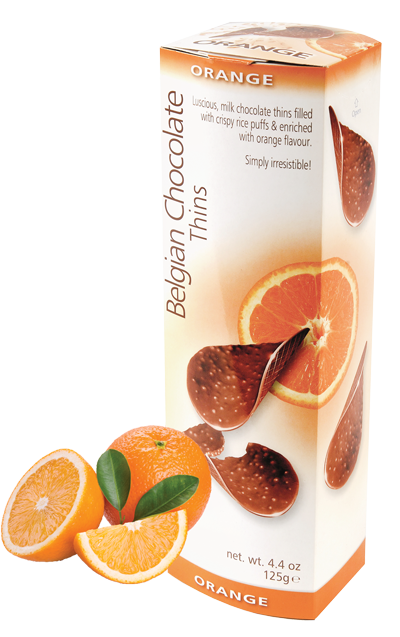 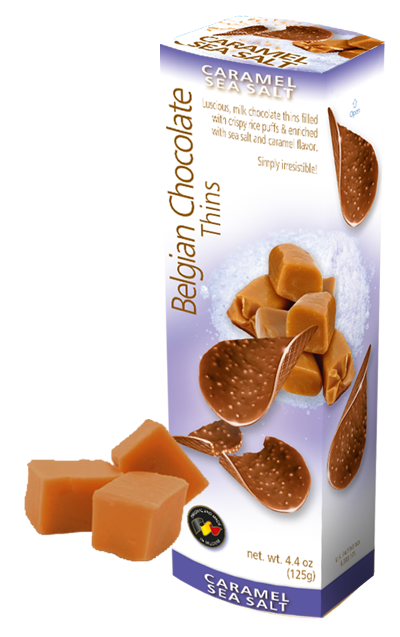 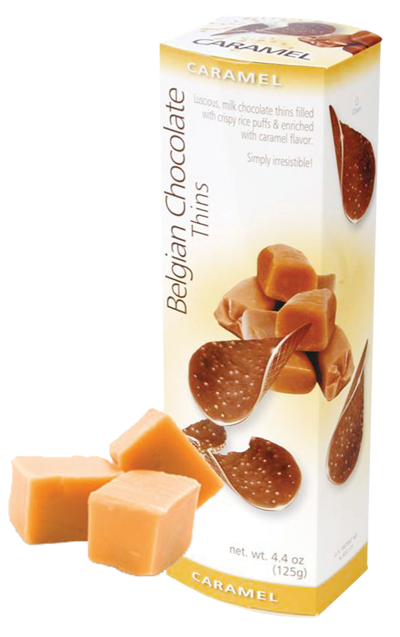 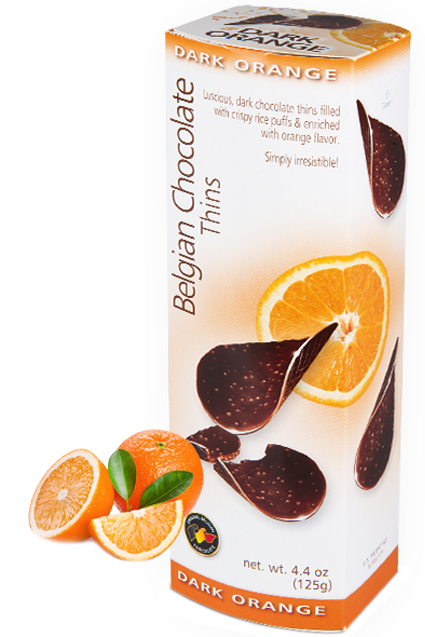 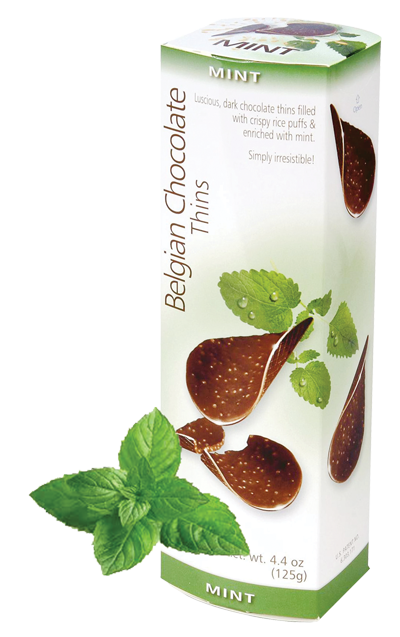 Belgian Chocolate Thins – Simply irresistible! 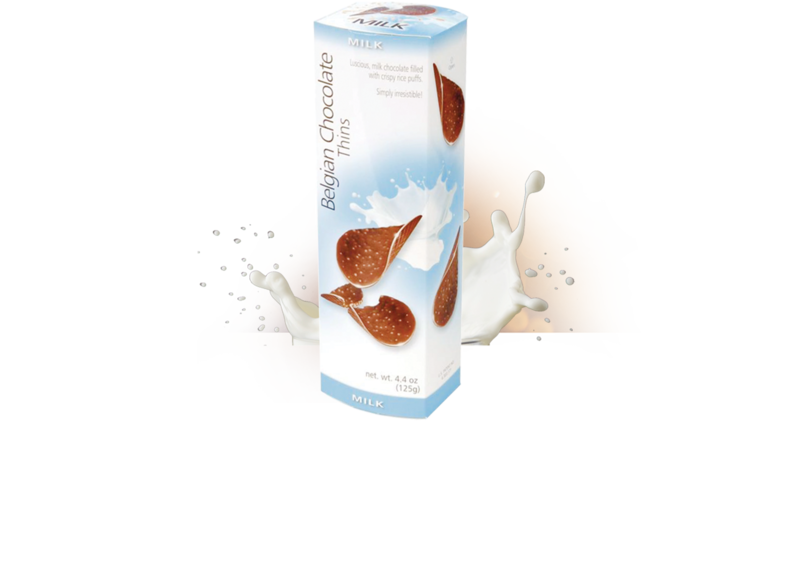 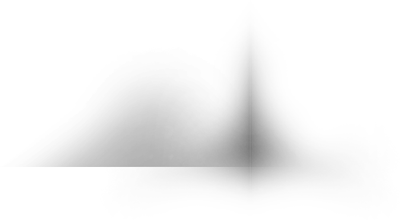 Milk Chocolate [sugar, cocoa butter, milk powder, cocoa mass, vanilla ( a natural flavor), soy lecithin (an emulsifier)],Rice Crisp [rice flour, sugar, malt extract, salt, calcium carbonate (a stabilizer), non- hydrogenated vegetable oil, soy lecithin (an emulsifier)]. 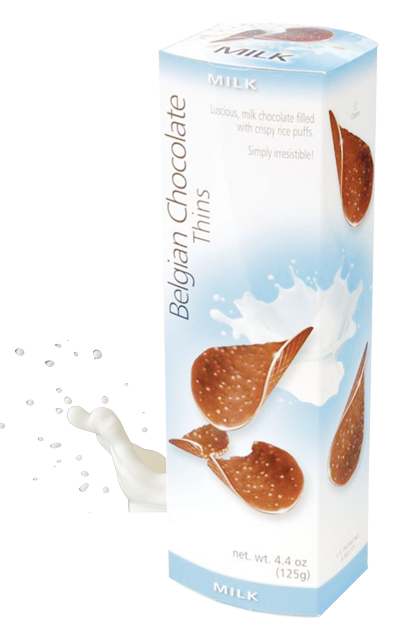 Contains gluten , milk and soy. 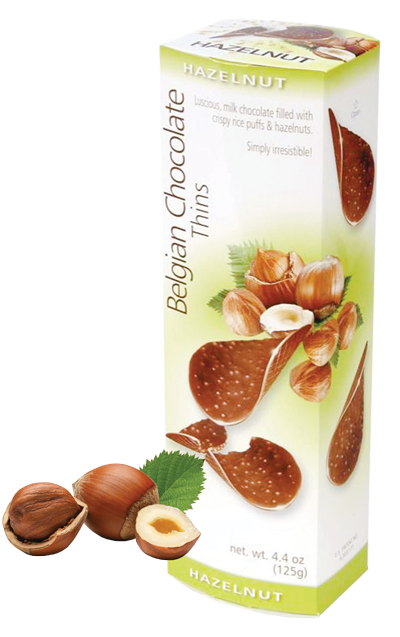 May contain traces of nuts.